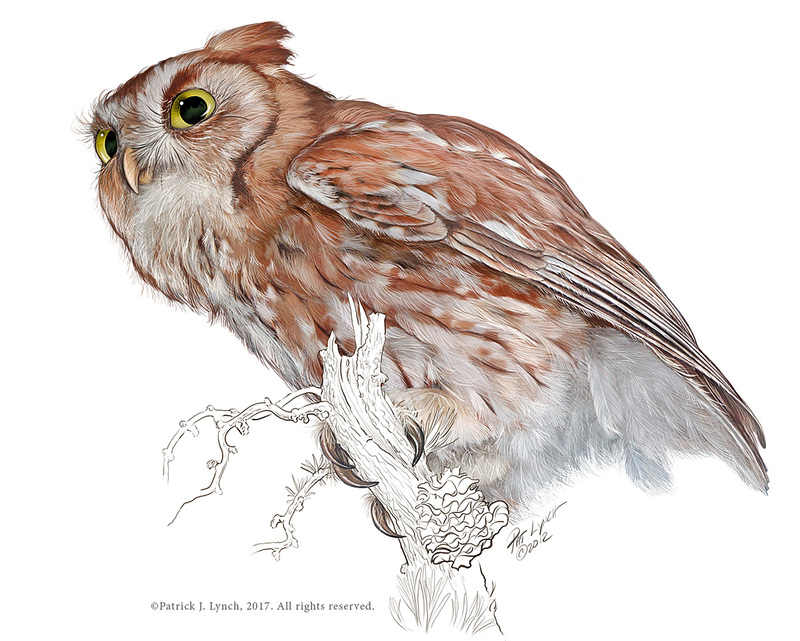 Screech Owl, red phase. Photoshop. Structure of salt marshes on the northeastern coast of the U.S. Photoshop. ©Patrick J. Lynch, 2017. All rights reserved.